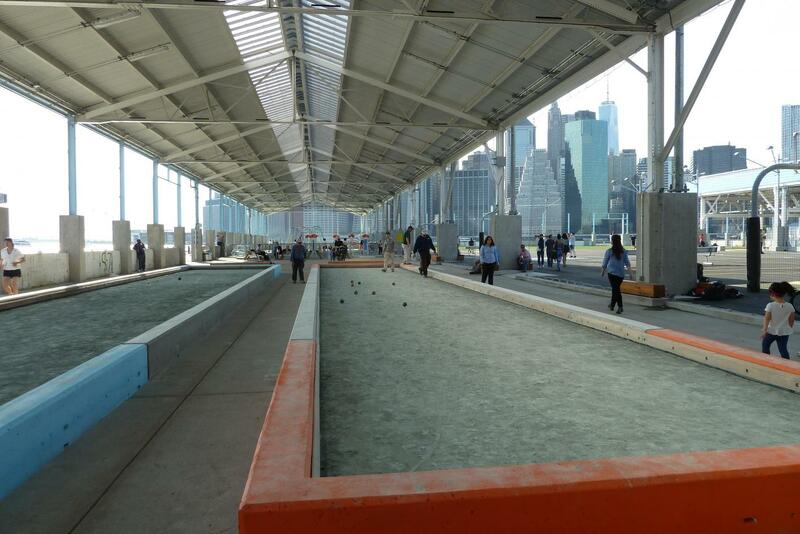 For a sophisticated European spin on outdoor bowling, the ball’s in your court at Pier 2. 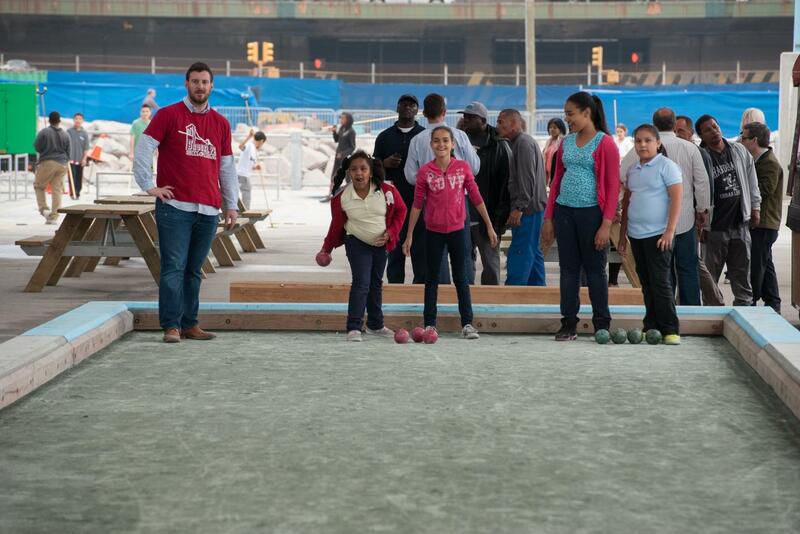 Park-goers of all ages are making a leisurely game of bocce part of their weekend plans. 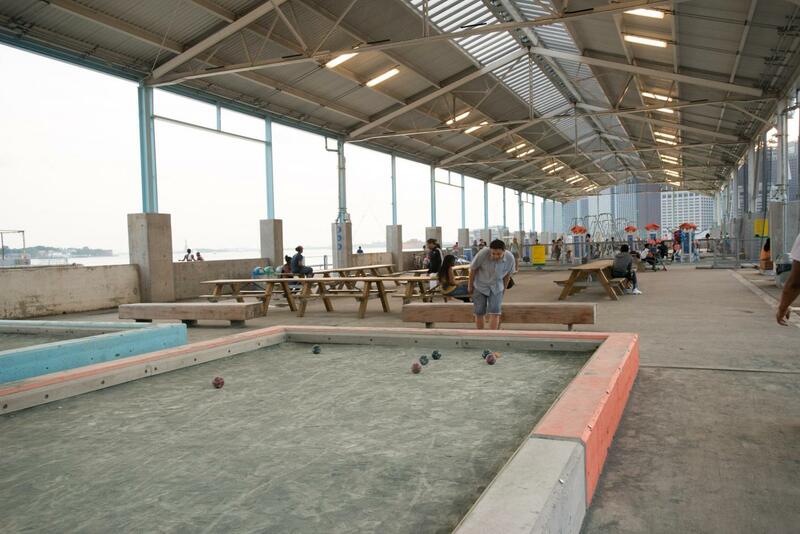 Equipment is available to borrow from the Pier 2 Roller Rink, and you don’t need much experience to get started. 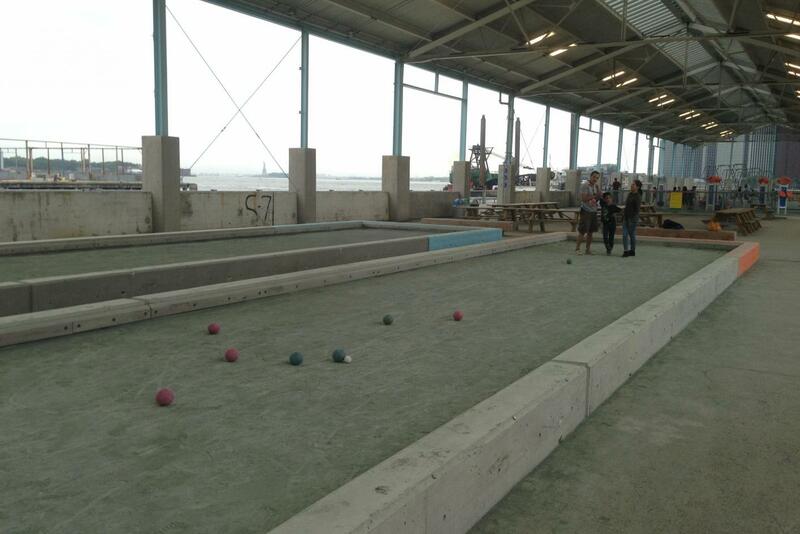 In fact, you might luck out and score a few pointers from a local who’s been playing bocce in Brooklyn’s many Italian neighborhoods since before you were born!